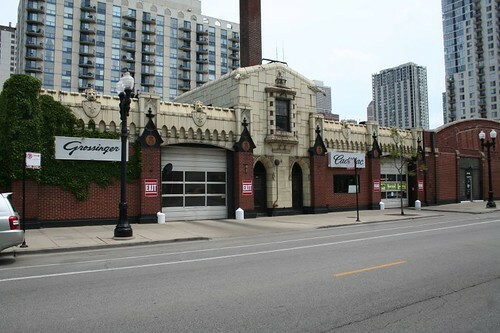 At 1233 N. Wells Street stands an old garage building, currently home to Grossinger City Toyota. It’s a strange hybrid, mixing Gothic styling and with Art Deco ornamental detail freely. 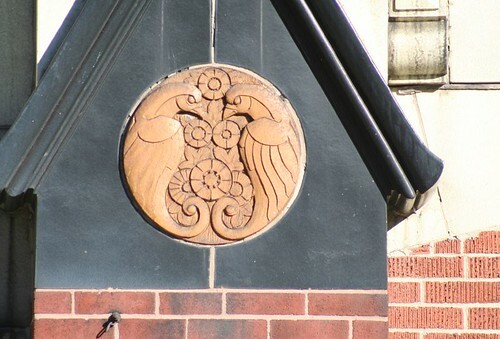 Some of the ornament is emphatically Art Deco, with geometric stylization. 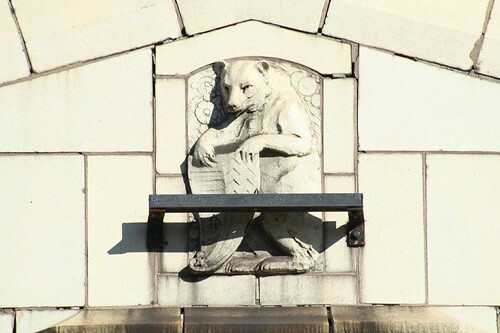 This bear with a coat-of-arms shield suggests more traditional, historically-styled ornament. 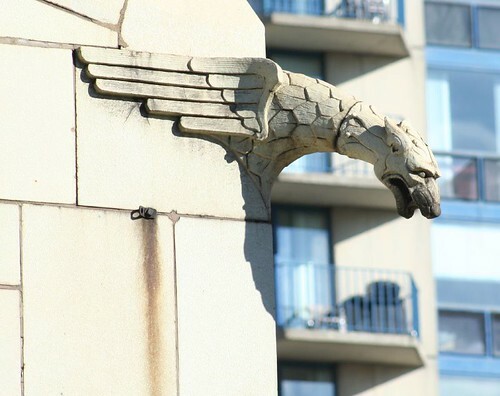 And the gargoyles at each corner are themselves hybrids, Gothic creatures with stylized Deco wings. A quick web search indicates that the building was designed by Roy France. CityNews Chicago claims it was built in 1911. That might explain the seemingly tacked-on nature of its Deco details — Art Deco wouldn’t come into vogue for another fifteen years. It’s also headed for the wrecking ball. Oh, no, BW, please tell me you are joking. Grrr. This building is amazing and comes from an amazing period. Why do we not build like that anymore? Surely archetects understand what is pleasing to the eye? If only more had the courage to do a modern take on this period, that I would love to see. It was Tower Oldsmobile for decades, until about 2002 or so.